Ascorbic acid is a water-soluble, sugar-based acid with strong antioxidant properties. It is the purest form of vitamin C and was the first compound to be synthesized and identified as such. The name, in Latin, can be translated as "no scurvy," in reference to the disease caused by vitamin C deficiency. Ascorbic acid plays many essential roles within the body and must be constantly obtained from dietary sources, as humans cannot synthesize it internally. 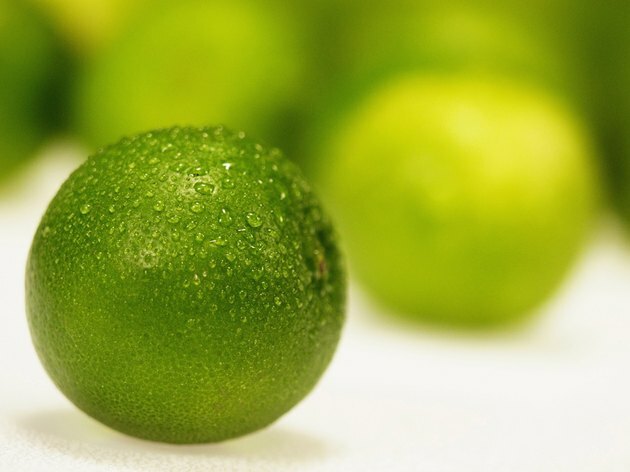 The disease that became known as scurvy was remedied in the 1700s by giving sailors and soldiers citrus fruits and cabbage, although it took almost 200 years to understand why. Norwegian and Hungarian researchers discovered ascorbic acid in the late 1920s and initially called it hexuronic acid. In 1937, Norman Haworth, Paul Karrer and Albert Szent-Györgyi all received Nobel Prizes for synthesizing L-ascorbic acid and understanding its biochemistry. Szent-Györgyi and Haworth changed its name in reference to its ability to prevent or cure scurvy. L-ascorbic acid is the purest form of Vitamin C and the one found naturally in foods, especially citrus fruits. As a powdered supplement, ascorbic acid is sour, has a sharp taste and may cause gastric irritation in large doses, particularly in those with sensitive stomachs. Calcium ascorbate is ascorbic acid chemically bound to calcium, which is a nonacidic form of vitamin C that is gentler on the gastrointestinal system. Magnesium ascorbate is ascorbic acid chemically bound to magnesium, which is also a nonacid form of vitamin C, but one that is the most absorbable within the gut, according to "Vitamins: Fundamental Aspects in Nutrition and Health." Ascorbic acid is an essential nutrient in the body for connective tissue maintenance and repair, strong immune response, wound healing, and cardiovascular health. As a powerful antioxidant, ascorbic acid eliminates free radicals that are produced from biochemical and metabolic reactions. Excessive free radicals damage blood vessels and other tissues, which accelerates the aging process. According to "Biochemistry of Human Nutrition," ascorbic acid stimulates production of immune system cells, especially neutrophils, lymphocytes and phagocytes. It also increases levels of circulating antibodies within the blood's serum and contributes to the synthesis of interferon, a protein-based compound that kills viruses. Humans are one of the few mammals that cannot synthesize ascorbic acid and must consume it regularly from dietary sources. According to the National Institutes of Health, the RDA of ascorbic acid for adults ranges from 75 to 125 mg daily, depending on gender, pregnancy, breastfeeding and cigarette smoking. However, some researchers believe that between 1,000 and 3,000 mg of ascorbic acid is required daily for cardiovascular health and strong immunity. Rich sources of natural ascorbic acid include rose hips, all citrus fruits, kiwis, strawberries, sweet potatoes and peppers.